Search engine optimisation, or SEO, is one of the key elements in having a successful website. 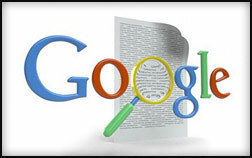 The manner in which the World Wide Web has changed, made search engines such as Google and Yahoo! star players in online success – and failure. A website is, in essence, non-existent if it does not enjoy high search engine rankings, and as a result the website will not receive many visitors. JHNet's search engine optimisation services will help you increase search engine traffic and achieve the result you need in order to promote your website on search engines, allowing you to grow your business. We only use the best techniques that are accepted by all search engines, assuring your site will not be penalised or disregarded.